Special Sanding and Polishing Package Set Designed Exclusively for Micro-Mark Customers! 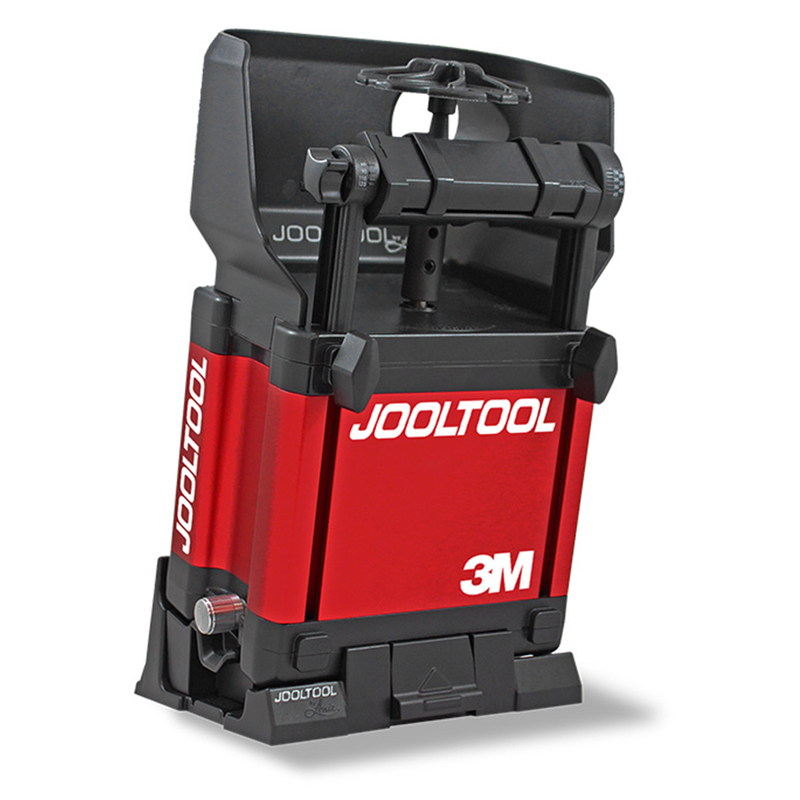 Jooltool is a multi-function sharpener, polisher, grinder and lapidary system all-in-one. Industrial-grade 3M abrasives are applied onto patented slotted disks which become translucent as they spin. This unique design lets you see the surface being ground, polished or sharpened in REAL TIME. This visibility extends all the way to the edge of the abrasive disk, free from restricting rings or other obstructions. 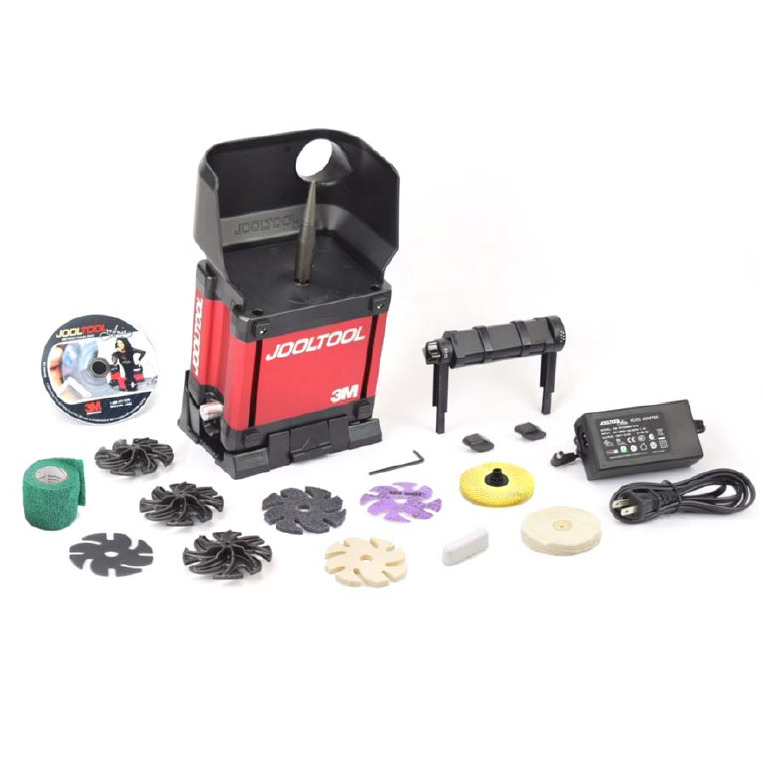 Special Micro-Mark Edition Jooltool includes: • Jooltool base unit • Three see-through backpads (Use with Ceramic, EXL, Felt Wheels) • 3M Bumpon™* cushion (Use with Ceramic) • 3M purple ceramic 120 grit abrasive disks (for grinding sharp corners, hand-filing work, sharpening) • 3M Scotch-Brite™ EXL Wheel - Fine ("Magic Eraser" blends deep scratches away) • 3M 3" Bristle Brush: 80 Micron grade (Sand hard-to-reach areas) • 3M Vetrap™ Protective Finger Wrap Roll • 3-inch "Fluffy" Buffing Wheel • Jooltool see-thru Felt Disc • Jooltool Polishing Compound • Tool Rest for Chisel and Drill Bit Sharpening with Adjustable Angles • Jooltool instructional DVD by Anie. *3M Bumpon polyurethane material provides a smoother grind and more refined polish when used with any finer grade abrasive – such as Trizact™ or Diamond. Mounted between the backpad and the abrasive disk, Bumpon cushions and minimizes vibration. 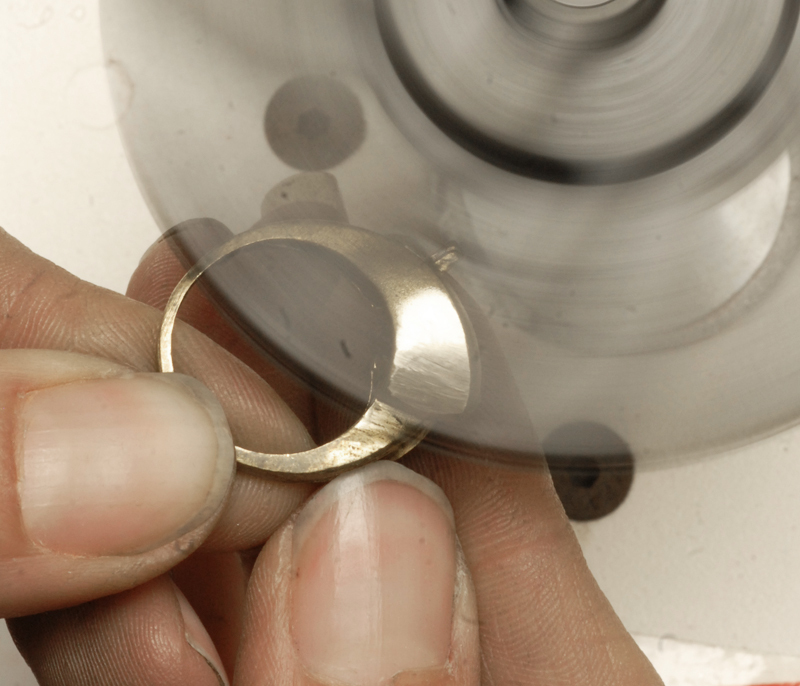 Ideal for working on rounded or domed objects and flat surfaces alike.